We established the Gowings Whale Trust to increase people’s knowledge, involvement and understanding of the Humpback Whale through public education. The Humpback delights coastal dwellers with its acrobatics as it makes its way through Australian waters and by increasing our understanding of this mammal, its environment and the impact man has upon it, we will have a greater chance of ensuring its survival. We have created ‘Whale Futures’ – a certificate that acknowledges any donation made towards further research and conservation of the Humpback and we sell a range of branded merchandise at our concierge desk at Port and Coffs Central shopping centres. Proceeds for these GWT items go to fund selected research projects focused on the life, habits and ultimately preservation of this magnificent species. 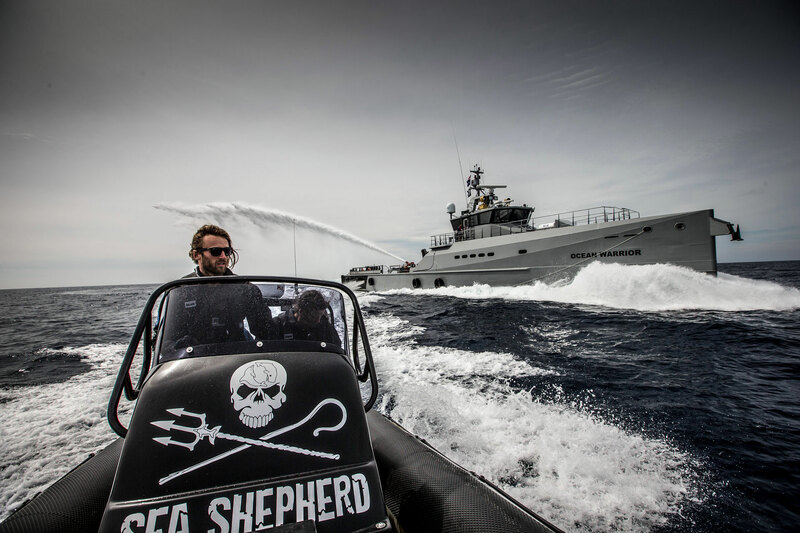 In 2016 The Trust was proud to form a partnership with Sea Shepherd, donating an RIB chase boat named ‘Whale Warrior’ which will sit onboard the new Ocean Warrior vessel, and be used to fight illegal whaling activities off Antarctica.